Hi, this is Brian with Team Be Like Bamboo and we are at Base Camp. And we did a load carry today up to our Camp 1 (at roughly 15,500 feet). It was a beautiful day, everyone did extremely well. We got back in the early afternoon and everyone enjoyed relaxing in the sun; several people took showers. I wanted to do a little shout out for folks that are following one of our climbers who’s trying to raise money for Nepali girls education, so if you’re following that, that member is trying to raise some money for their education. 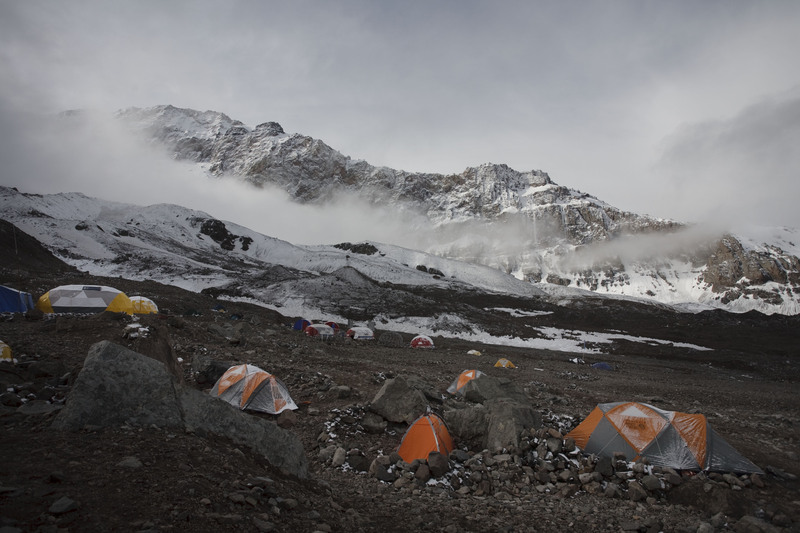 And everyone is looking forward to moving up to Camp 1 tomorrow morning, and acclimatizing and getting a little farther along on the climb. So stay tuned for more.